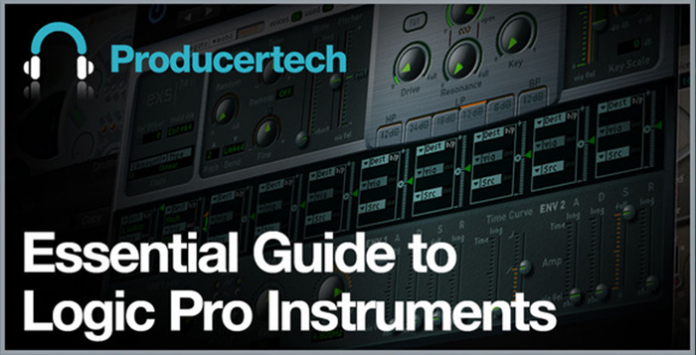 From programming drums in Ultrabeat or Drummer, creating exciting sampled sounds in EXS24 to complete explanations of Subtractive, Wavetable, FM and Modelling synthesis in the full range of Logic’s plugins – by the end of this course you will be fully equipped to utilise all of these powerful instruments and techniques to great effect. Logic Pro X Owners – Although the majority of the tutorials were made with version 9, all content is 100% applicable to version X, as no instruments were changed in the update. Describes the process of constructing drums using Ultrabeat. Shows how to create and edit a hip hop break using a MIDI region and adjusting parameters in Ultrabeat’s assignment strip. Also teaches how to make a house drum loop using Ultrabeat’s sequencer, showing how to import your own samples as well as how to edit the key parameters in the synth section like filtering and pitch. Teaches how to use ES 1 and 2 to edit or create sounds. After running through the controls on each, focussing mostly on the parameters not looked at on synths and samplers covered up to this point on the course, there are some tips for how to program different sounds with ES 2, including an acoustic plucked string patch and a fat sync’d bass. Explains the concept of FM synthesis and gives examples of how it is applied in Logic’s instruments, beginning with EFM and then moving on to ES2 and Ultrabeat. There are some examples of how to make classic FM sounds, such as bells and metallic patches, as well as some more diverse applications, including making fat bass loops by automating FM parameters.